Raiders QB Derek Carr led receiver Amari Cooper into a hard hit from the Broncos’ Darian Stewart when he overthrew a ball intended for Cooper. 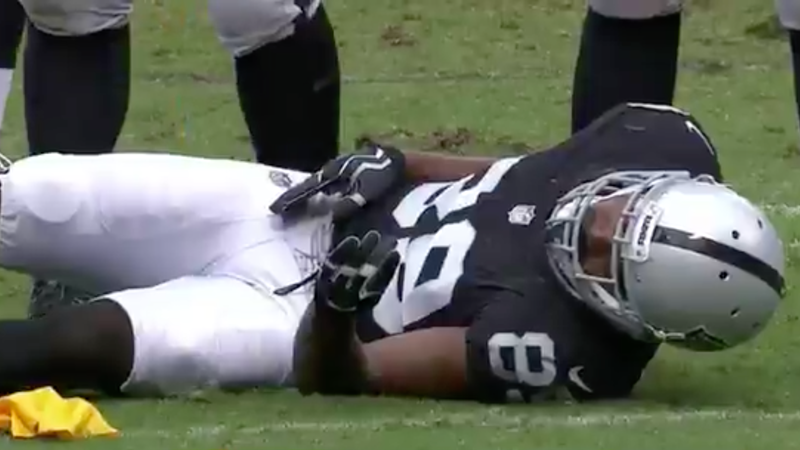 As Cooper reached up to try and grab the pass, he took a hit right to the head from Stewart’s left shoulder, which led to Cooper staying down on the field for an extended period of time. Stewart was flagged for unnecessary roughness. Cooper eventually got up and walked off the field without a stretcher or cart, but he should be out for at least the remainder of the game.